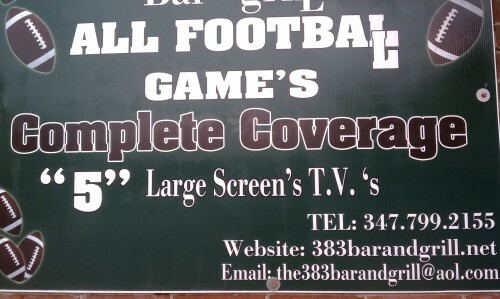 I spotted this one, which was displayed in a Brooklyn bar window, over on Apostrophe Abuse. I particularly like how the 'designer' has dealt with the lack of room for the second L in FOOTBALL. And after that, it's...well it's just downhill all the way to be honest. I'll always acknowledge your contributions.